One of the things I most admire of a card designer, whatever the nature of his work is, is when his/her imprint is clearly recognizable. This is undoubtedly the case of Randy Butterfield, an artist of recognized talent (and a good friend) with a really personal style. 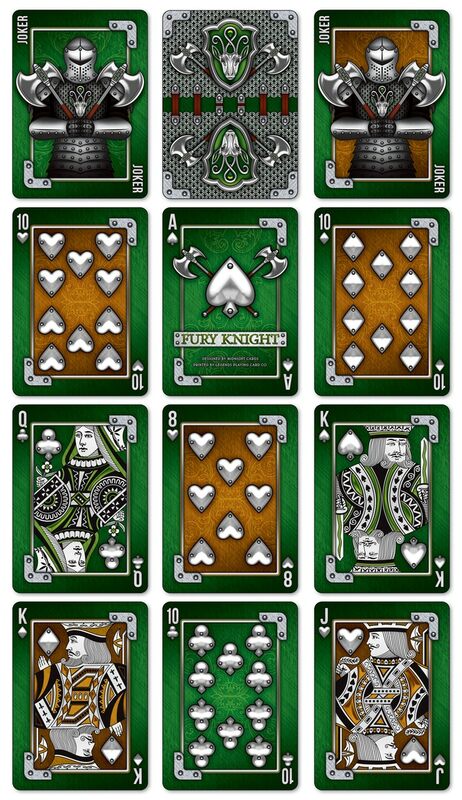 He has worked over the last few years on a huge number of projects, not only with his Midnight Cards brand but also in collaboration with other creators and companies. Now, he presents his latest campaign: DRACONIAN and NIGHTS. 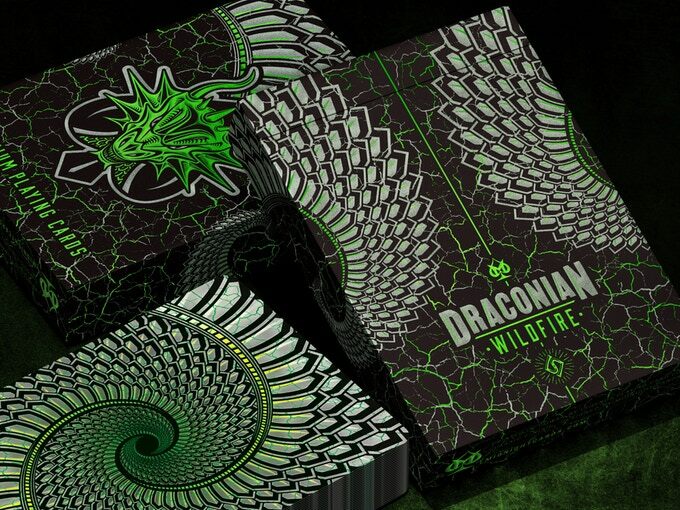 In this project Randy offers us a new edition of his Draconian deck launched three years ago: DRACONIAN WILDFIRE. This new edition brings back his inspiration in the fantastic literature and the disturbing figure of the dragon as the mythological creature feared by his violent and fiery breath. 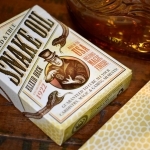 This edition is much more intense, with a deep green as the main color. The back shows a beautiful composition inspired by the scales of the dragon and the faces respect the traditional scheme with an interesting customization in a dark and cracked borderless background. The tuck case stands out for its bright green foiling, UV spot ink details and, as a stretch goal, its embossing. As a complement to this deck Randy has created a set that pays tribute to the enemies of the dragon, the knights, who struggle to preserve the calm of their villages. 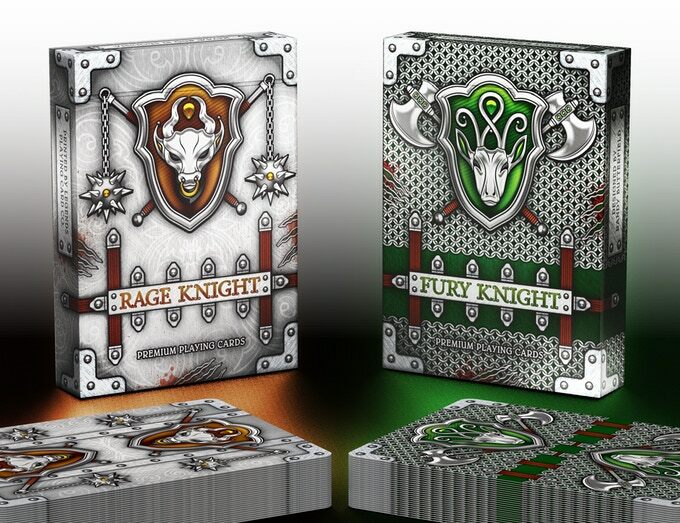 The KNIGHTS FURY and RAGE decks keep the aesthetic of the artist’s style with a completely different color scheme with the metallic elements present in arms, armor and shields. The Knights Fury edition shows in the back two kight’s shields on a chain mail background. A full bleed green metal background decorates all the faces. Given the metallic aspect of the suits, the differences between the traditional red and black pips are depicted using frames in green and amber. 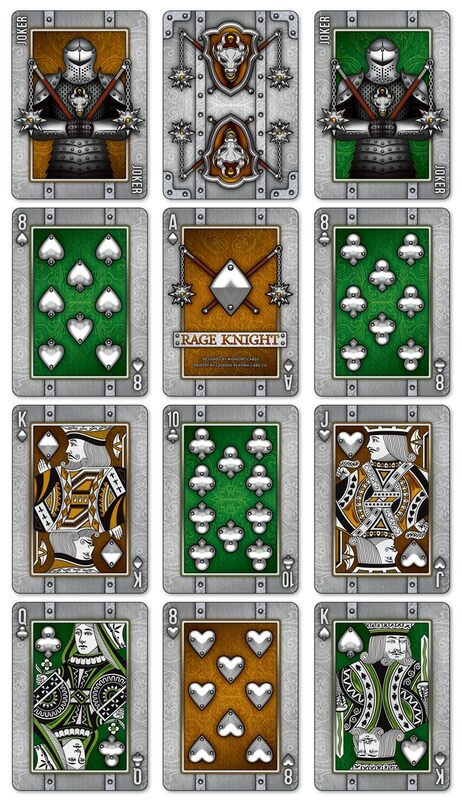 The back in the Knights Rage edition has symmetrical shields on a metal background with rivets. The color scheme in the faces is similar to its twin with some changes in the structure of the metal frames and the grey metal in the backgrounds. 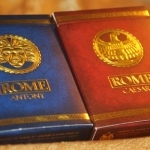 The tuck cases of both editions will be printed on metallic paper. That will be really awesome. If you liked the aspect of the Metal Rider Back tuck case, you’ll love these. 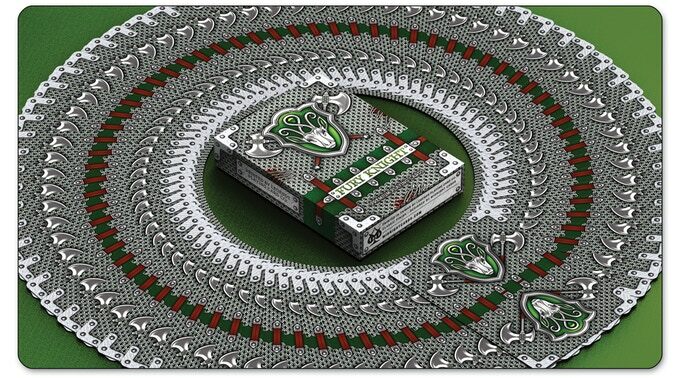 In addition to these three decks, Randy offers in the campaign exclusive cases with the three editions gilded in green, black and silver. The limited edition of these 150 cases, also printed on metallic paper, will be hand numbered and signed. 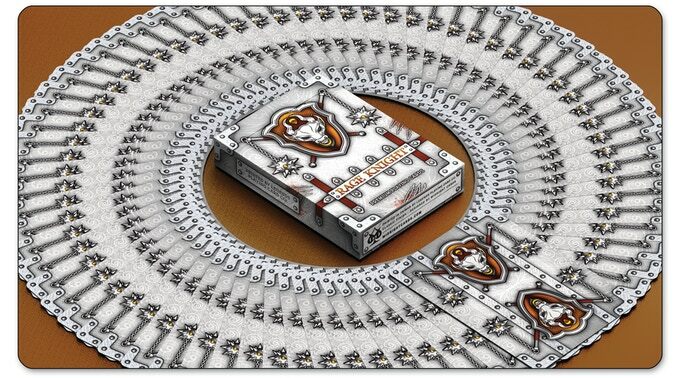 Everything will be printed by Legends Playing Card Co. in their Taiwan printer with their Classic Finish. 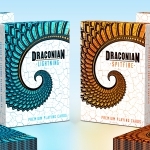 Without a doubt, an impressive campaign with fantastic decks in design, quality and playability and with very reasonable prices. Get them on the project website raising your pledge.